Today we're talking beauty, ladies. I love lipsticks almost as much as I love dark chocolate... that's a lot peeps. Funny story - I used to HATE lipsticks. I was a total gloss lover, and the idea of using a lipstick made me think of a grandma swiping on some dreary brown shade before bingo night. But, things completely changed during my college years... The red lip trend really sold me on these little magic tubes. So, when I received the Bobbi Brown Lip Trio from Neiman Marcus, I had a mini dance party in my living room while opening the packaging. 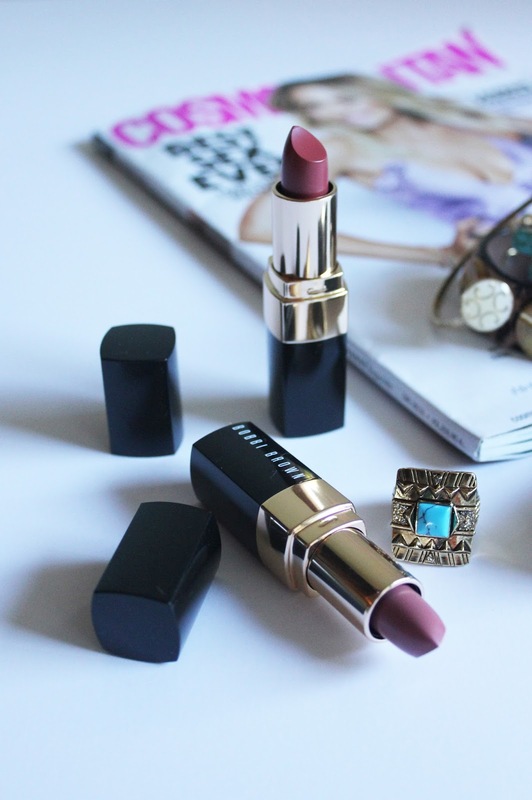 Not only do I love Bobbi Brown's lip colors, the three colors in the trio are the perfect additions to every gal's makeup cabinet. The colors are fab - (Salmon, a great coral shade; Pale Mauve, perfect neutral/pink hue; Soft Rose, a good everyday color that goes with everything)! I'm loving experimenting with these shades, soon to be seen in my upcoming style posts. My personal opinion of Bobbi's lip colors? They're AMAZING. The color pigment is gorgeous and lasts all day. I especially love putting on a fresh swipe of Soft Rose before heading out to work. But, Bobbi Brown isn't the only great beauty brand that Neiman Marcus offers! I've linked some of my favorite products from brands like La Mer, Laura Mercier, NARS, GlamGlow and neuLash. If you're searching for new products to try out, be sure to check out NM's selection! Do you have any beauty favorites that I should try? I used to hate lipstick - mainly because I had to wear it every friday night for football game and it was never a choice...but now I'm getting back into it. I'll have to try these! I have got to get better about finding the right lipstick! These look beautiful and great quality! 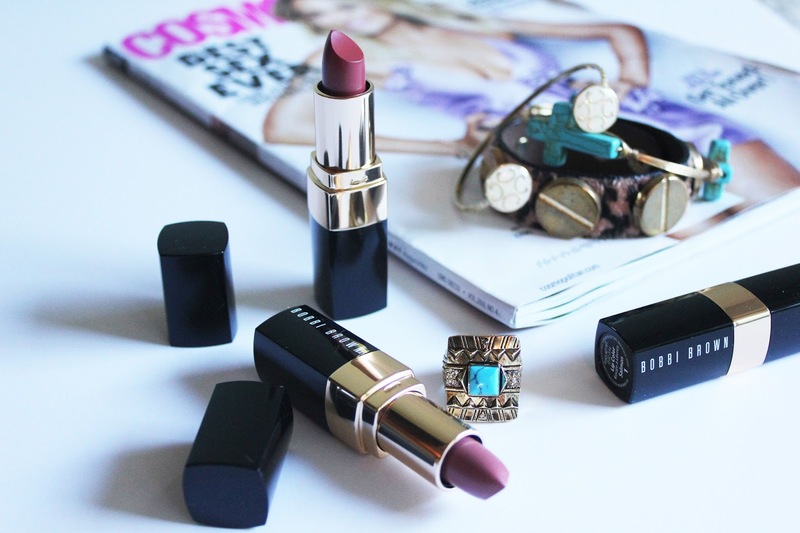 love these lip colors! I can't leave my house without having on lipstick! love bobbi brown! and love those lipsticks!! I'm the exact same way! I used to NEVER wear lip color (not even gloss) and now I'm like WTF was I thinking?! haha. Love these shades, seems like they would look great on any skin tone too!